And while you're at it go ahead and get your Christmas shopping started with this gorgeous bracelet. 😍 Shop it HERE!! Happy Thanksgiving Eve! We are so thankful for each and every one of you and the support you have given Walton's through the years! Shop this stunner HERE! Our hearts are fluttering over this gorgeous diamond and emerald cluster ring! 5, 4, 3, 2, 1.... 15 carats of fun! 💎 Which would you choose?? 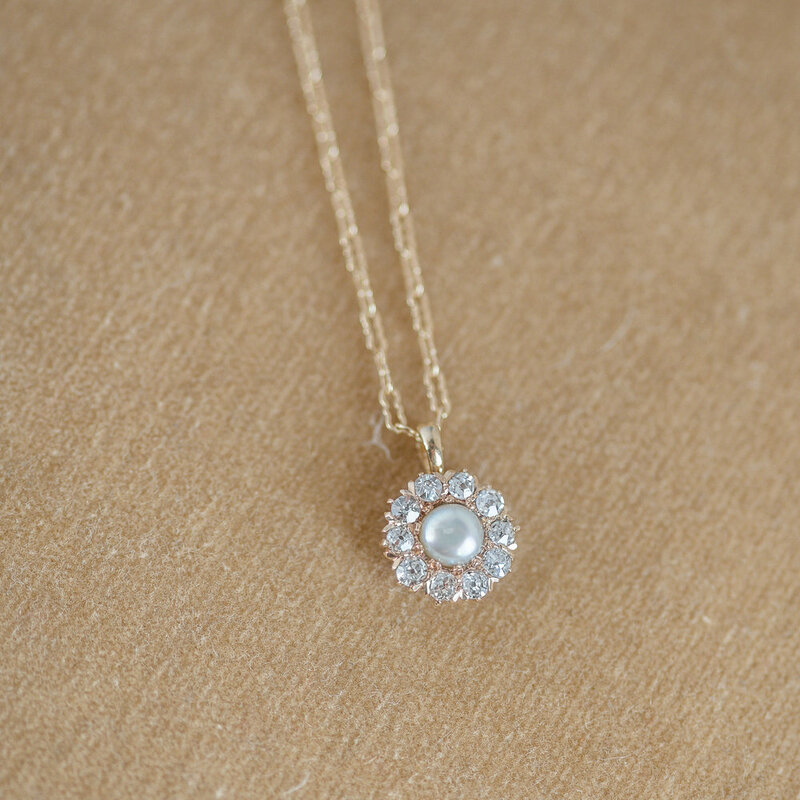 Pearl and Diamond Cluster Pendant. Under $700. What more do we need to say? Whoa baby! Now that's a pop of color! 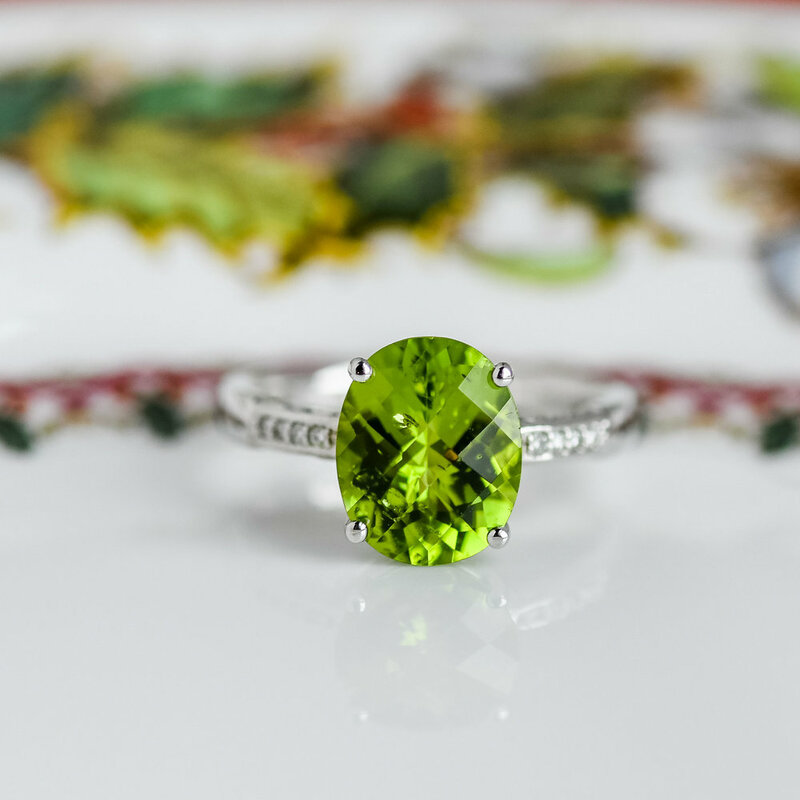 💚 Shop this incredible Peridot ring HERE! Little Black Dress + New Diamond Ring= Your new favorite outfit 💍🖤 Shop this beauty HERE! Who's ready to trade those Autumn reds and yellows for Winter whites and icy blues?! Shop these dreamy earrings HERE! 🎶"One of a kind, livin' in a world gone plastic- Baby you're so classic!" 🎶 Shop this classisc beauty HERE! For all you Amethyst lovers out there…we’ve got options!! Shop these incredible pieces HERE and HERE! 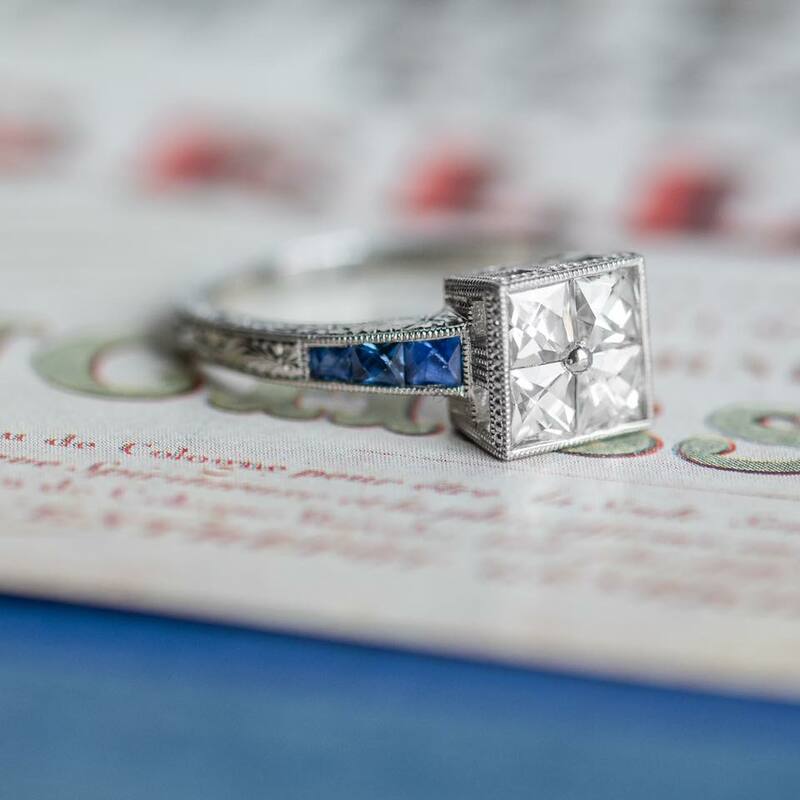 In honor of it being September- we will just leave this gorgeous French Cut Diamond and Sapphire ring here for you to enjoy 😉Shop this beauty HERE!! If this Victorian ring could talk it would probably tell us that some things never change. Particularly, that Sapphires will ALWAYS look perfect next to Diamonds. S hop these super-fabulous earrings HERE! We are so thrilled to be partnering with Rare Prints Gallery to feature some of our favorite pieces paired with some of their favorite pieces! We are loving the way this dramatic Estrucan Revival Era pendant looks draped across the simple and elegant Coty print from the Art Deco era. 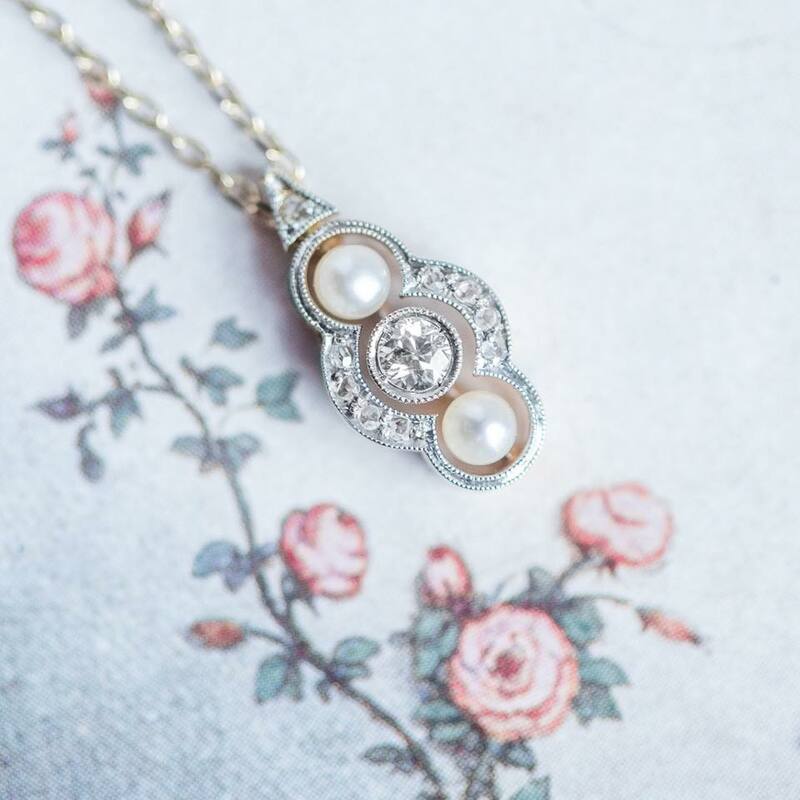 Shop this beautiful Victorian necklace HERE! #opalgoals 🌈Shop this gorgeous Opal ring HERE! 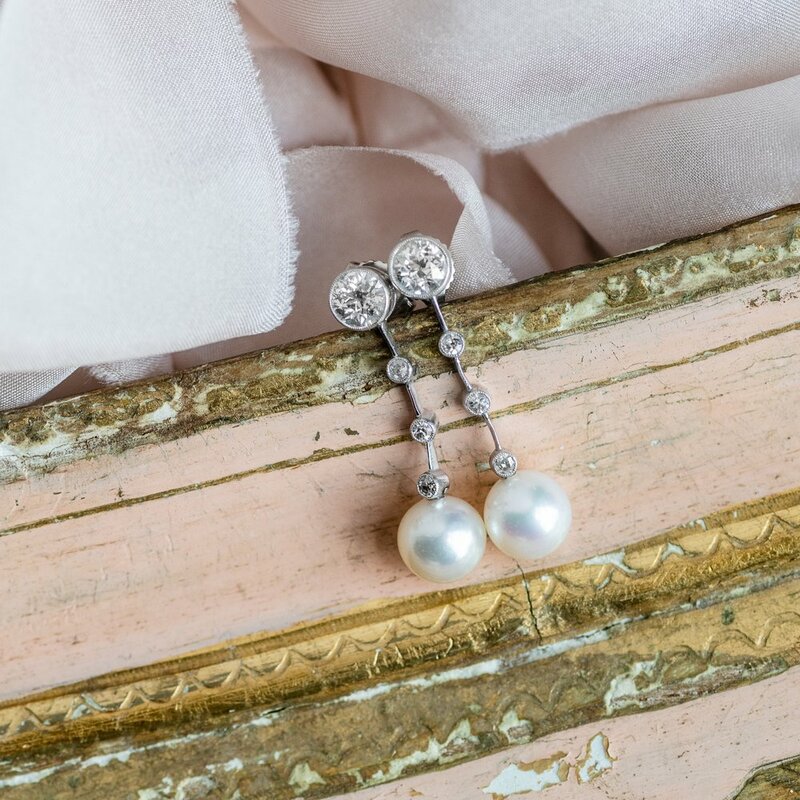 Pearls dangling from a string of diamonds-does it get any sweeter than this?💕 Shop this lovely pair of Art Deco earrings HERE! Paint yourselves in diamonds, y’all!! 🎨 Shop this masterpiece HERE! 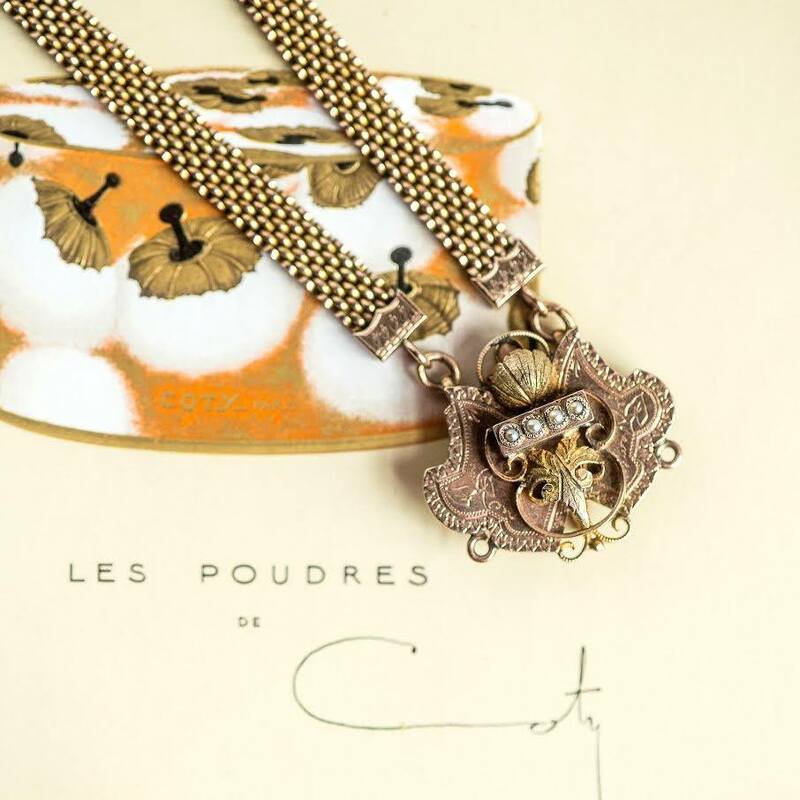 Oh the places this regal Victorian Era necklace has been! We close our eyes and can almost see it on a young woman gliding into the debutante ball 💃Shop this necklace HERE! A quick cure for those dreary sky blues? 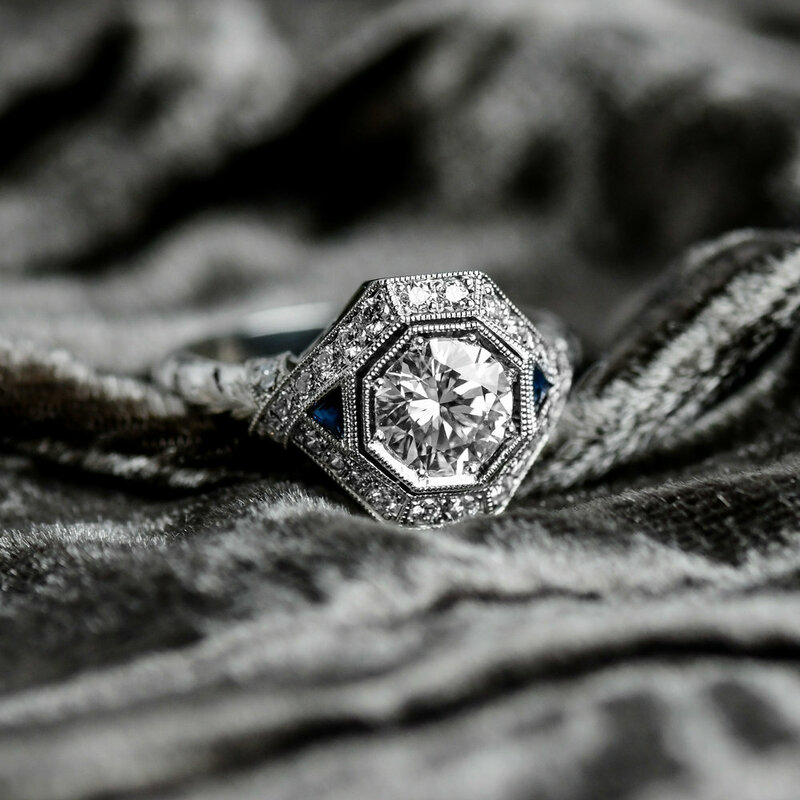 This lovely Edwardian Blue Zircon and Diamond ring, of course! 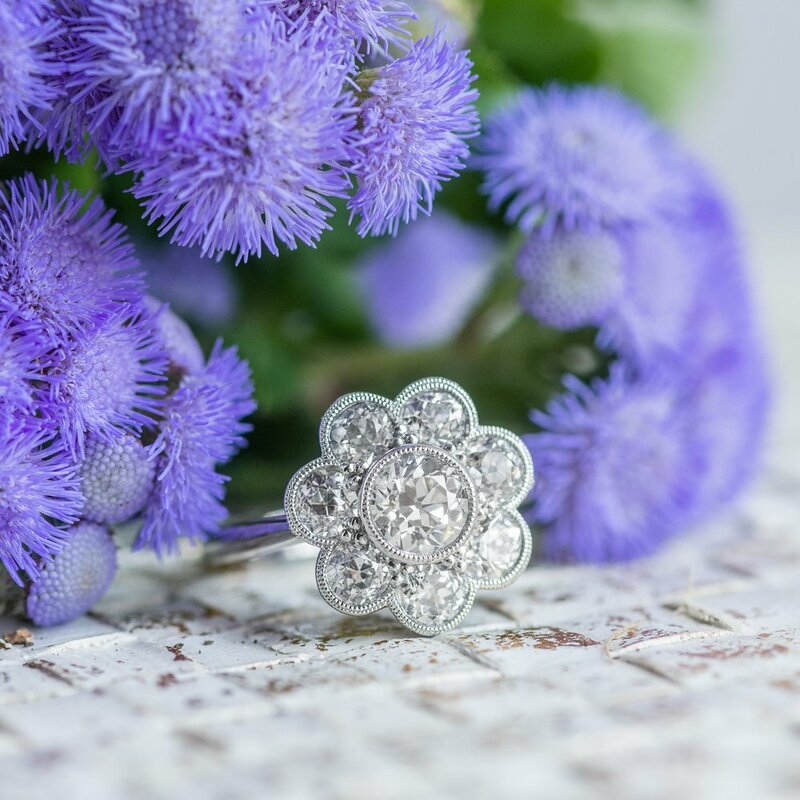 Shop this lovely ring HERE! I mean what can we say? 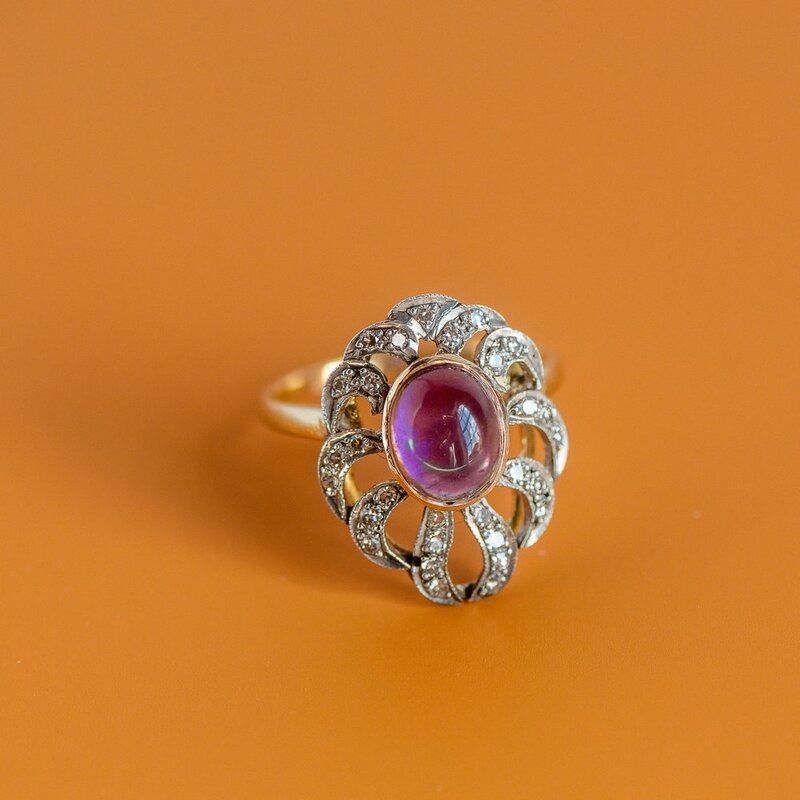 This 3.89 Art Deco ring is just the sparkliest ring ever.💥💎✨💎🔥 sshop this stunner HERE! FUN FACT 👩‍🏫 Did you know that Prince Albert gave Queen Victoria a snake ring set with her birthstone, an emerald, as her engagement ring? 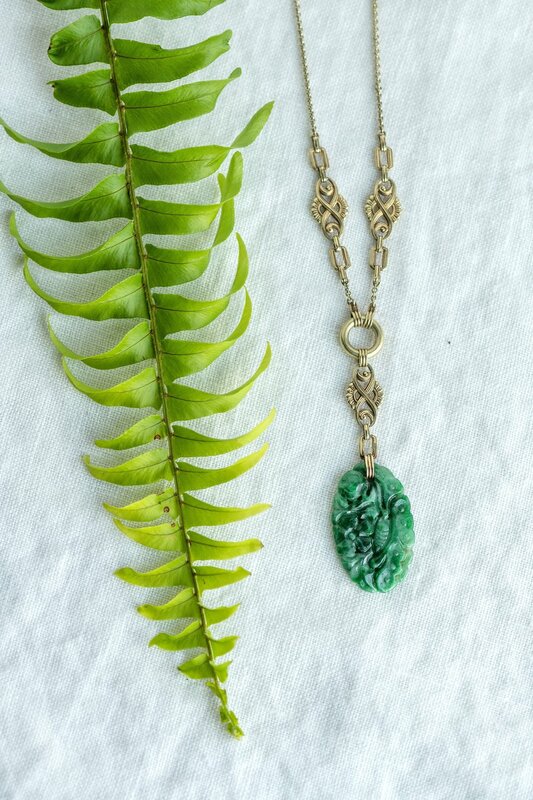 This quickly started the trend for serpentine adornments, which were ancient symbols of eternal love! 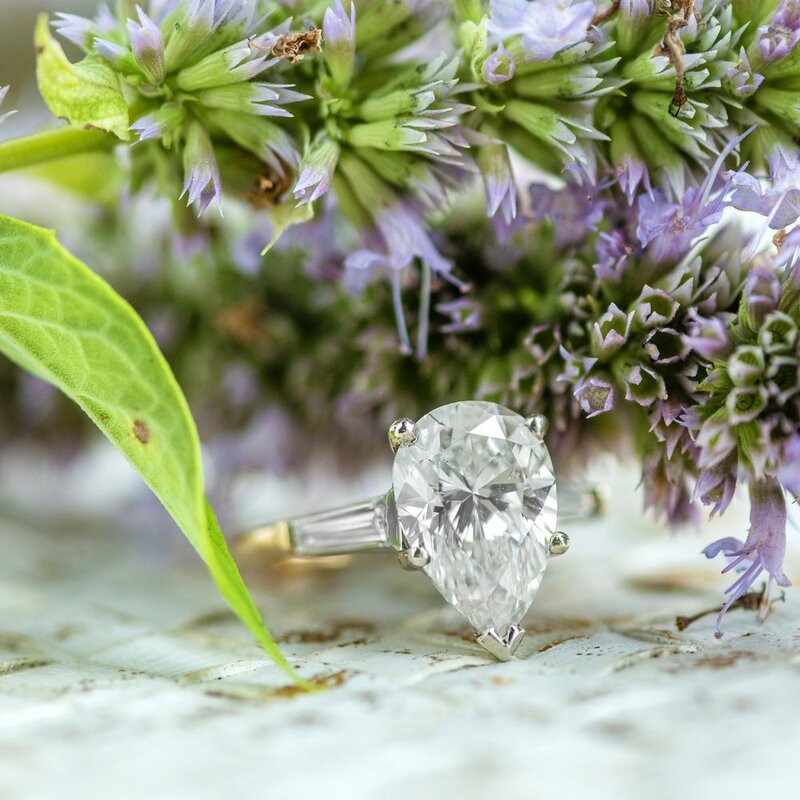 So sweet 😍The ring pictured below was probably crafted some 50 years later, which goes to show the power of influence over ever evolving trends through the decades. 🐍💎 Shop this serpentine dream HERE! It's that time in Williamson County Tennessee! Take your sparkles to the fair! Who is headed there for some fun this weekend? 🍦🎡🎪🎢🎠 Shop this prize HERE! 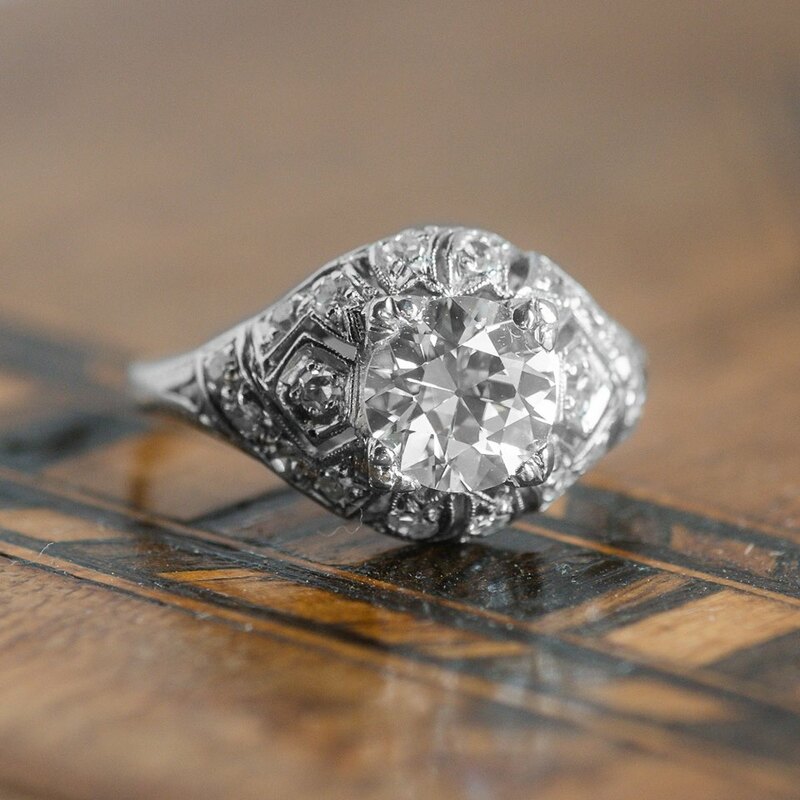 An Old European Diamond cluster ring to brighten your Tuesday! 💍🌞💍🌞💍 Shop this gorgeous ring HERE! They say beauty is in the details. And this Victorian bracelet has a lot of details 👑 Tap to ship this fabulous piece HERE! Flowers in your garden, flowers in your hair, flowers on your jewelry! 🌸🌼🌺🌹🌻 Tap to shop this lovely pendant HERE! Shop this delicious ring HERE! 💎💎Diamonds on diamonds on diamonds! We are swooning over this fabulous Platinum Art Deco ring set with over a carat in Old Mine Cut Diamonds 💎💎Tap to shop this ring HERE! Shades of green-fresh and clean! Tap the photo to shop the pendant HERE. What's better than pearls? Pearls surrounded by diamonds, of course! 😍😍😍Shop this sweet ring HERE! A long long time ago in a 💫galaxy💫 far far away....was this mesmerizing GALACTIC Black Opal and diamond ring from the Edwardian era! 🌎 Shop this fabulous ring HERE. 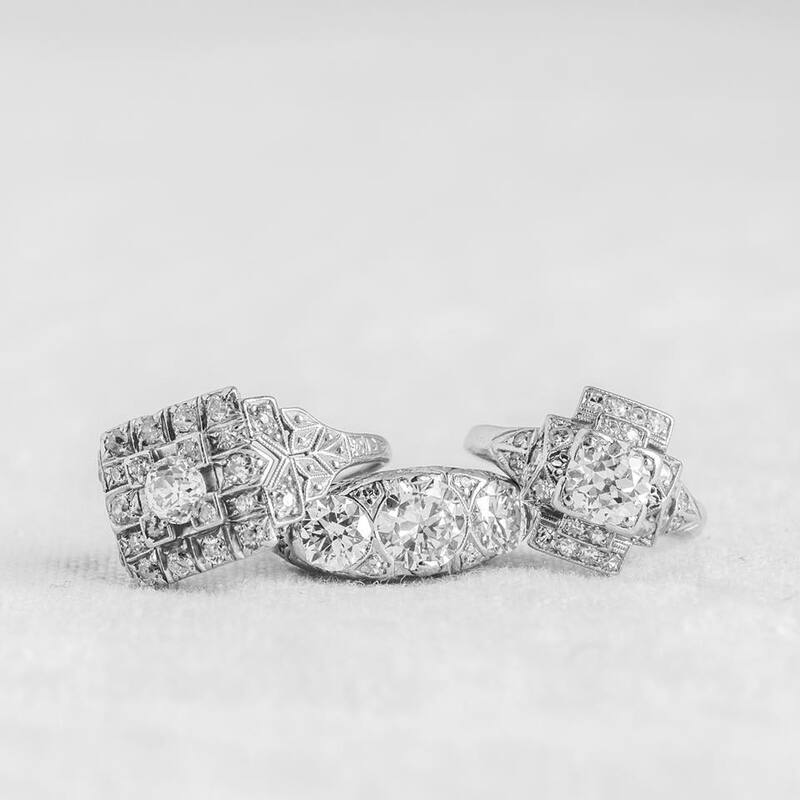 A trio of fabulous Art Deco diamond rings! Shop these beauties HERE, HERE and HERE. Oh how we could get lost in the depths of this blue zircon! 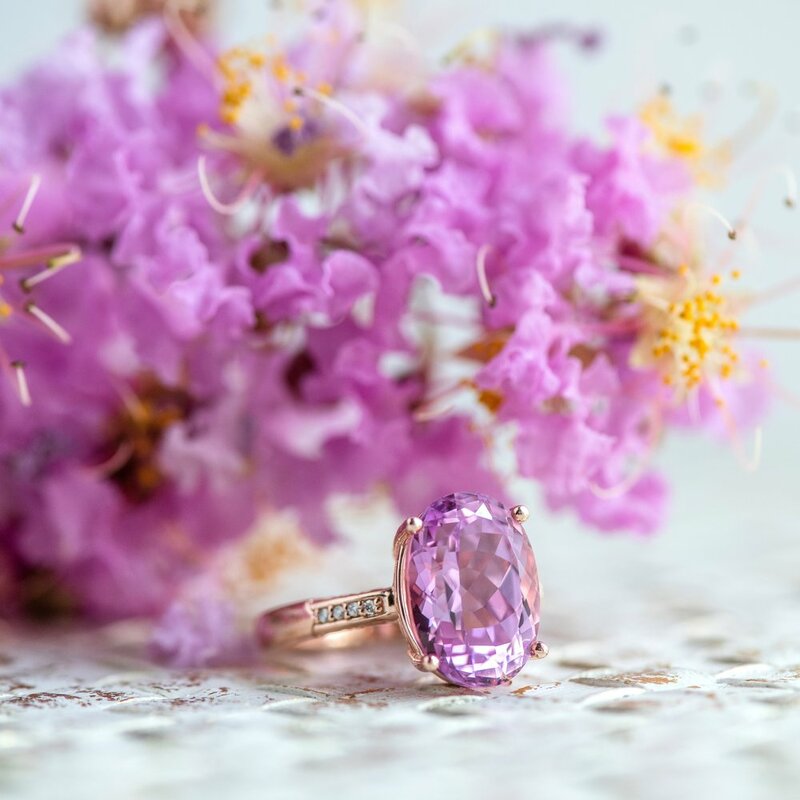 Shop this fabulous ring HERE.